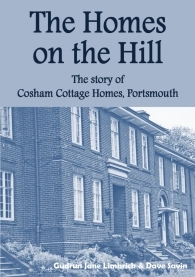 After a long fight, 19 people who incredibly bravely came forward to say that they had been abused at Cosham Cottage Homes, Portsmouth in the 1950s have received an apology from Portsmouth City Council. Len Cummings, who wrote about his experiences in 'Forgotten' spearheaded the campaign, is reported as saying of the apology "It makes me feel good that finally, the right thing has been done by good, honourable people". I write this personal letter as a sign of respect and concern for you as a child who was in the care of Portsmouth City Council. I have reviewed the documentation that was provided to you under the Data Protection Act from the council’s records, which evidenced the sexual and other abuse which you suffered during your time in the care of this authority in the 1950s. Whilst only those directly involved will know the details of what happened, I accept that you feel that you were maltreated as a child when in the care of the city council. I am writing to you in my capacity as leader of Portsmouth City Council to apologise for the care that you received. Every child has the right to feel protected when growing up and you feel the city council failed you and others, and for this I apologise on behalf of this authority. I was dismayed to find out that an apology letter had been drafted a few years ago but for whatever reason, the previous leader chose not to send it. I know that an official apology is important to you, which is why I have made this one of my first priorities since becoming leader, and it was clear that there was no legal impediment in my doing so. I only wish an apology was made sooner before one of your brothers and your sister, who were also looked-after children, passed away. I want to reassure you I am committed to making sure no child is failed by this authority. I hope that this apology brings you comfort and some sense of closure. Lee Cummings, I think you are so brave. I was in "care" in Portsmouth in the 1960s (Kingsley Road and Yarborough Road homes) and the Cosham Cottage Homes were every local homes kid's worst nightmare. But other homes weren't much better. In those days, the only qualification "house parents" needed was a marriage certificate. They did what they wanted and social workers (then called children's officers) turned a blind eye. The children's welfare definitely wasn't high on their priorities.